Thrift stores, also known as bargain basements, flea markets and antique outlets, all have one thing in common: treasures. Well, treasures through the eyes of those hunting for a steal or a deal or that great buy at the right price. Many also support the local communities they’re in. 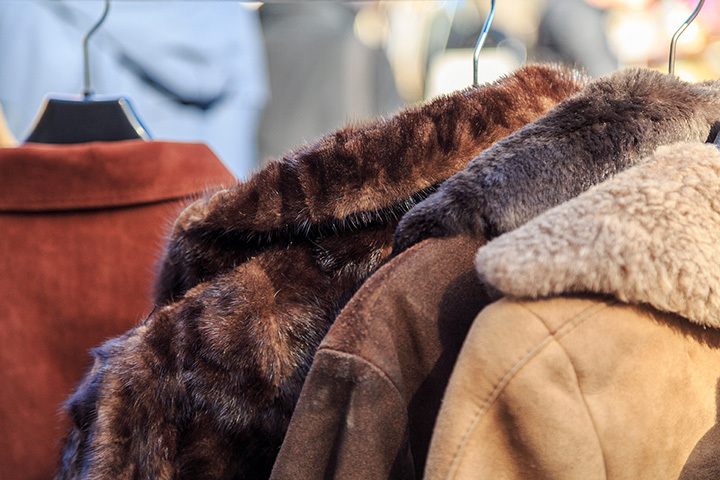 Check out these 10 thrift stores in New Mexico. You might just find what you’re looking for! If you love cats, then this is the store for you. Not only are there books, home goods, collectibles, vintage items, books, clothing, plus new and used things, you can also adopt a new best snuggable friend of the four-legged furry kind. A dif-ferent breed of thrift store … literally. The mission of the Assistance League is to provide the individuals they serve the resources they need to achieve a successful life. The league accomplishes this by raising money to fund their programs. This thrift store is a means to that end. You’ll find reasonable prices and great stuff. Rifle through clothes, kitchen items, lamps, art work and furniture. The wide-ranging selection of clothing represents a variety of eras. Unique is an apt description for this shop. From the lone chairs on the roof to the buffalo skulls splayed out across the ground in front, this has a little something for everyone. With new things coming in daily, there’s a plethora of precious items to be discovered, at just the right price—your price. Dickering is encouraged. Old license plates, costume jewelry, glassware, furniture and the always in style zippo lighters all on display and for purchase. Located on Cannon Air Force Base, this shop is overseen by the Cannon Spouses Club, a non-profit that services military spouses in the area. There’s an interesting collection of working electronics and appliances, furniture, shoes, books, CDs, linens, household goods and clothes for all ages. You’ll also find items there on consignment. All funds go to educational activities and other base-related activities. This very stylish building is home to very stylish used and vintage men’s and women’s clothing and accessories. It’s at the high end of the thrift store spectrum, selling very current, up-to-date, seasonal merchandise in good condition, but at reduced prices. If you’re looking to clean out your closet, you can sell or trade items on an as-needed basis. Shoppers will find incredible buys on barely-worn name-brand merchandise. Twenty-five thousand square-feet of space filled to the rafters of the old Coca Cola plant in the heart of the city’s historic Guadalupe Railyard District are just ready for browsing. From the ordinary to the extraordinary, you’ll find everything from western wear to pawn jewelry to Native American collectibles, as well as retro furniture, linens, china, clothing and vintage items of all sorts. This is a con-signment store of epic proportions that’s been family-owned and operated since 1987. You’d be hard-pressed not to find something you couldn’t live without. Looking to outfit a new apartment, dorm room or house? Rummage through the reasonably priced merchandise here for just about everything you’ll need from gently used appliances to household goods to furniture. But there are fun items to be found too and slightly used clothes, shoes and accessories. What’s old to one person is new to another. All sale proceeds go to support Talking Talons Youth Leadership activities, programs designed to heal the planet by transforming generations of leaders through nature. Shop often here because the selection changes regularly with new items coming in on a daily basis. If you’re looking to get the biggest bang for your buck on used clothes, jewelry, shoes, housewares, purses, books and a lot more, then stop by Tuesday through Saturday. Wednesday is senior discount day. They have daily 50 percent off sales in all of their departments. This well-organized store is one of those places that you stumble upon without any expectations and walk out with a bag full of bargains. Second hand clothing, furniture, household items, books and toys all at reasonable prices. Additionally, the proprietors accept vehicles and complete estates. As a non-profit, funds go to help Paws and Claws Animal Rescue as well as local programs that support the homeless, fire victims and the elderly. The Cat’s Meow is the cat’s pajamas! For more than 10 years, funds from this store have been used to support the spay/neuter program at Noah’s Ark Animal Shelter, as well as other shelter programs. Completely staffed by volunteers, this is a feel-good place that does good works. You’ll find an eclectic selection of clothing, housewares, furniture, electronics, toys, computers, media, books and antiques and collectibles. You just never know what treasure you’re going to un-earth. Go often, new things arriving daily.